- disconnect hard drive and cd player, removed dram, only one left. - when I removed graphic card (no internal graphic card), I hear 5 beeps. - when I start without dram, I hear 2 beeps, 2beeps. - when I start with everything, I hear 1 short beep like everything is good. I have no other parts to try, so what I want to try is buying a cheap graphic card and after I suppose the problem is the motherboard... I don't know if the problem could come from the tower, there is a lot of things (alienware) with others electronic cards. Is on-board graphics available? If so, connect monitor to that port and reboot. If not, sounds like the graphics card is defective or underpowered (GPU or PSU fault). If you can, use other components to troubleshoot which one. I have fixed many PCs over the last 9-10 years. Usually when this happens either the GPU (videio card) is fried - could be caused from lightning, cheap power supply, faulty RAM, etc. What you can do to see if it is the video card is take it out and put it in another machine to test. MAKE SURE ALL CONNECTORS ARE CONNECTED BEFORE POWERING ON. i.e. POST is when you first initialize the computer, it is done before bios loads. what post does is essentially power on everything and 'feel' if it is there - send a few watts/volts (depending on the part) around the machine to see what you have in there. If something does not have adequate power, it will not see it - probably what is causing you to not see the bios. The beeps you are hearing is the computer saying "hey, something is missing, please look at my manual to see what i need" right after post before the bios loads. When you take out key components to a computer, things will not run. - It is similar to if you take the engine out of the car, or the carb. out - the car wont go anywhere, it will just sit there and look pretty. Test out the card in another machine. If the card works, we know it's something else. If it is not the card, let me know and i will try and help you further. (ADDED) Are all the fans running? There is no on-board graphics. 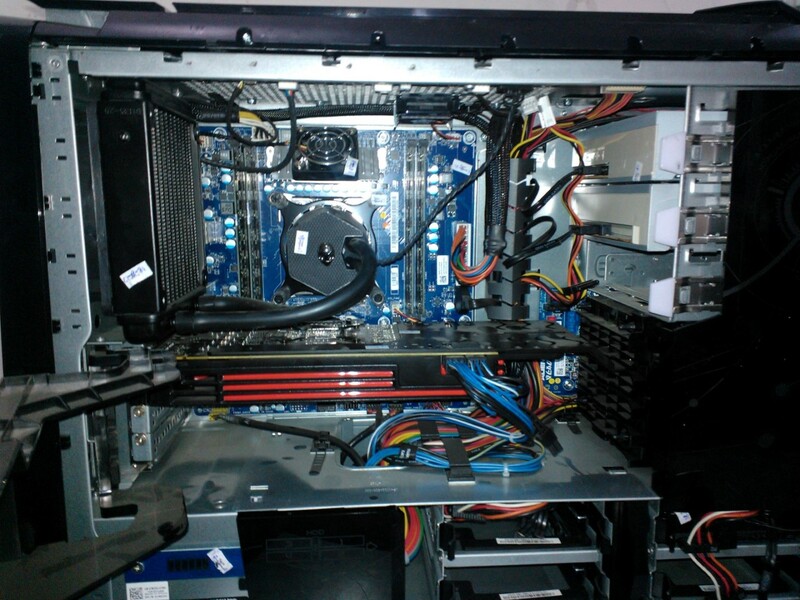 The PC was good for 1.5 year and the graphic card was not changed, so could it be the PSU ? If it's the graphic card, is it possible to show something on the screen ? Do you have access to another Machine? Should have asked this before I posted previously. If you have access to another (recent) machine you will be able to troubleshoot a lot easier. Ok I will try that. Yes all the fans are running, sometimes quickly, sometimes slowly. Yes I have my brand new pc and I don't want to try possibly defect parts in it That's why I want to buy a cheap graphic card to try first. I understand haha. Not everyone has 50 PCs laying around to test on lol. Sorry. If the card is dead to my knowledge i do not think it will damage your parts in your new PC, it just won't work. Keep me updated with the outcomes? OH! just be sure not to force things. You will cause damage if you force things in to the slots. Then the graphic card works perfectly in my PC, just a little slow at start to access bios but ok in Windows. I don't what would be the next step ? What is the PC that it worked in correctly? Like what are the specs and what are the specs of the alienware PC? i will be able to help you easier once i know that. - i don't know what psu it is ! I have never seen this pc before and don't know what happend exactly. And everything seems working fine except the black screen. There are additional cards in it from alienware for the tower lights and fans, the CPU pump and fan are not connected on the motherboard but on an additional card on the top of the tower. If the PSU is not working fine, is it possible that every fans run ? Also for the motherboard, if it is defect is it possible that everything run fine except the boot ? I join a link of a picture from google of the inside of a tower like my. Take out the RAM (if you don't know where the RAM is or what it is i can help ya), and test each module- meaning, put them in individually - one by one - and try to boot it. and you said you reset the CMOS? I have already done that, each module in slot 1, always the same thing. And yes I have removed the battery and moved the cmos jumper of one pin then back in place and start once without battery but nothing different happened. Should I try to find another PSU to try to start with ? yep, try another PSU, assuming it isnt the processor. it also appears as though there is ram on both sides of the CPU. Then I try with a new PSU, same thing, black screen at startup. I try the Ram in my PC and it works. So remains either the CPU or the Motherboard. For me it is rather the motherboard. The only mATX socket 2011 I found is the Asus Rampage IV Gene. asus is usually an overall good brand. i highly recommend them. just make sure it is compatible with your cpu and ram as well as your video card(s). Yes I have myself a hero VI, only happiness with it For Ram and GPU I think it's good because they work in mine and CPU is compatible with new bios, just have to flash it. I will give you news when i have done that. you can buy an adapter. Check monoprice, they may have one.